Find a Sightseeing trip that explores India. There are 157 tours to choose from, that range in length from 1 days up to 31 days. The most popular month for these tours is May, which has the most tour departures. "It was a good experience and we like it." "I went to India with Indus Tours. My tour guide (Kush) was very knowledgeable and..."
"It was great tour. All the hotel stays and food was great. 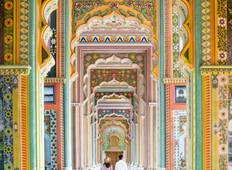 It was completely hassle..."
"I booked are tour four nights golden triangle and we visited Delhi, Agra & Jaipur...."
"Luxury tour organised by this travel agent was trully perfect . We felt safe and..."
"An excellent way of seeing the highlights of the Golden triangle in a short space..."
"This is the third time we are taking a trip with Yoganshi Travel. 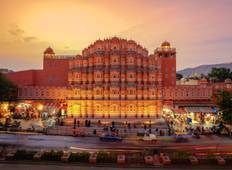 Every time it has..."
"Excellent service, joginder our driver very kind and polite was with us the whole..."
"India is indeed a hub of mixed culture with amazing history, food habits and culture...."
"This was our Second time using Indus Tours. We have received excellent service from..."